Show your love of the University of Texas and their teams with Texas Longhorn tattoos! The Longhorn name refers to any of the sports teams at the University of Texas at Austin. 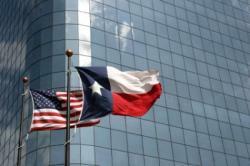 The name was taken from the type of cattle that were a large part of the state's development. 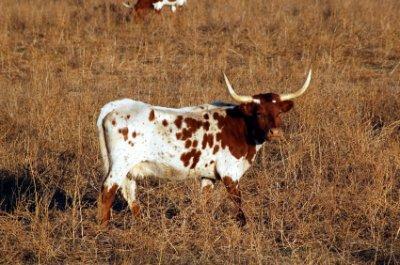 Today, the Longhorn type of cattle is designated as Texas's official state "large" animal. The term "Texas Longhorns" refers to all of the University of Texas's teams, and was first used in the year 1900. Officially, the women's teams are known as the Lady Longhorns, but most people have dropped the "Lady" when referring to them. While all of the teams are included under this umbrella name, it is really the football team that gains the most attention. Sports tattoos, as well as other All-American tattoos are often worn by people to show their pride in a specific team or country. Texas Longhorn tats are no exception, with sports fans from Texas choosing to get this tattoo to show off their favorite team. There are even some celebrities with tattoos of the Texas Longhorns, including wrestler Steve Austin.Another way to experience the fun of having a Texas Longhorn piece is to purchase one of the many sets of licensed temporary tattoos with the design. One store that sells them is Fanatics.com. For some people, Longhorn tats are a way to show their status as ultimate fans. They may choose to get a stylized version of the Longhorn logo or one that is true to the sporting image. Other people who are likely to get Texas Longhorn tattoos are University of Texas alumni. Like military tattoos, tattoos related to a college are a way of remembering your time spent there.